For applying to the court for alimony from the spouse who refused to conclude the agreement about the financial maintenance of the child, you want to make the claim statement. It must take into account all the nuances of a particular situation and to fully protect the interests of the child, so you should pay special attention to the preparation of such statement and take into account all the requirements for the form of the current legislation of the Russian Federation. 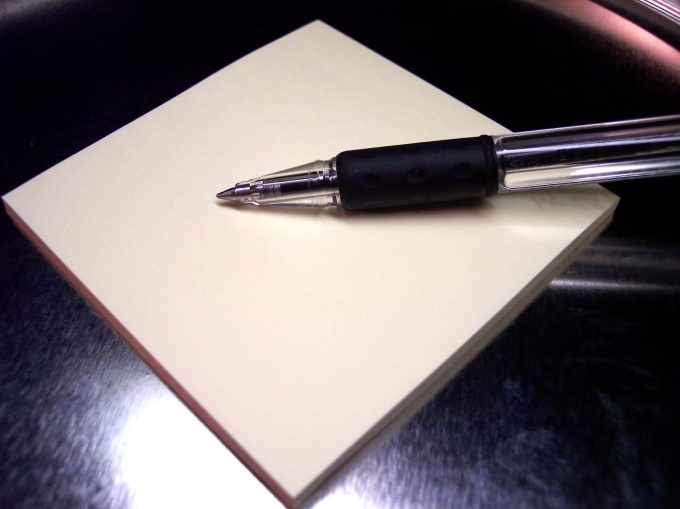 The document can be in writing or print on the computer. In the top right of the sheet write the details of the recipient (name of the courtand which is fed to the proceedings statement of claim statement), claimant (last name, first name, patronymic and place of residence of the applicant) and the defendant's name, address). Here specify the amount of the claim made by plaintiff for payment. Don't be afraid to inflate the value of your claims as the court, having taken cognizance of all the circumstances of the case may assign to refund a different amount. 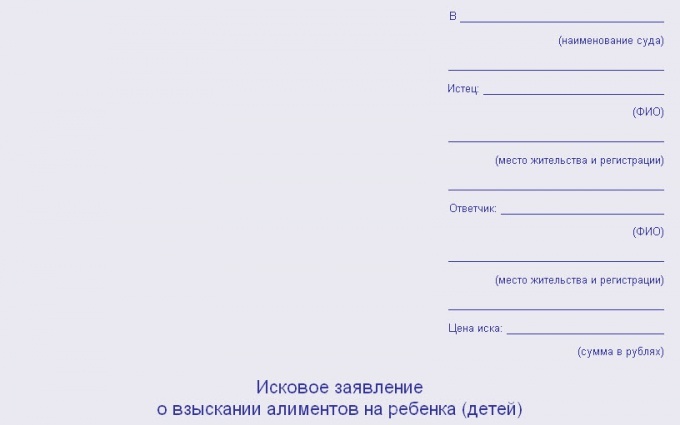 In the center of the sheet write the name of the document "statement of Claim a statement about the recovery of maintenance for the child (children)". In the main part of the document enter the date of the marriage and its duration. If the marriage was not registered, notify the courtat the time of cohabitation in a civil marriage and maintaining a common household. Here you can refer to the testimony of the existence of such a relationship, as recorded in document attached to the application. Write your surname, name, patronymic and date of birth of the child (Ren) born in this marriage. Let the courthave its own requirements - what amount and for whose benefit are you asking the court to charge the defendant. Bring proof and the circumstances for claiming the above amount. This may be the calculation of the disputed amount and terms, are forced to insist on such disbursements. Specify the timing of payments by periods (for example, monthly or quarterly). The final part will list all the applications (copies of documents, certificates and receipt of payment of thcourtarctonoe duties) that must be present for the proceedings in the courtE. Specify the date of the statement of claim and sign. Prepare the statement of claim about collecting of the alimony on the child in the magistrate's court always in three copies. One will remain with you, while the other two pass in the office of the court or send by mail with return receipt requested.